In 2011, a joint team of the Research Computing Center (MSU) and the Department of Computational Mathematics and Cybernetics (UNN) won the Informatics Europe Curriculum Best Practices Award. Informatics Europe is the association of computer science departments and research laboratories in Europe and neighboring areas. Since 2005, the association has been organizing the annual European Computer Science Summit (ECSS). One of the missions of Informatics Europe is to foster development of quality research and teaching in informatics and computer sciences. In line with this mission, the association holds the Informatics Europe Best Practices in Education Award. The Award recognizes outstanding initiatives improving the quality of informatics teaching and the attractiveness of the discipline. The ability to apply and extend educational resources beyond their institutions of origin is particularly noted. The theme of the contest is set each year in the area of informatics and computer sciences. In 2011, the contest was devoted to initiatives in the area of Parallelism and Concurrency and funded through a grant from Intel Corporation. The winners of the contest for the best practices in Parallelism and Concurrency were presented during the Summit. The Award carried a prize of EUR 30,000.00. One of the two winning projects — Parallelism & Concurrency: Changing the Landscape of IT-Education was presented by a joint team of MSU and UNN CMC. V.V. Voevodin, corresponding member of the Russian Academy of Sciences, Doctor of Physics and Mathematics, Deputy Director of the Research Computing Center, co-leader of the team. V.P. Gergel, Doctor of Engineering, Dean of the Faculty of Computational Mathematics and Cybernetics, UNN, co-leader of the team. In 2011, the UNN team became a winner of the Student Cluster Challenge held as part of the annual SuperComputing Conference (USA), one of the world’s premier IT events. Eight student teams selected worldwide took part in the contest to demonstrate maximum performance of software packages offered by the organizers in the context of limited computational capabilities and, above all, limited power consumption. During the training stage before the contest, the UNN team sponsored by Microsoft tried to achieve the maximum performance of software packages addressing scientific challenges selected by the organizers and demonstrate the best results as measured by the LINPACK Benchmark. Eventually, the team arrived at 1.9 TFlops thus surpassing their competitors. 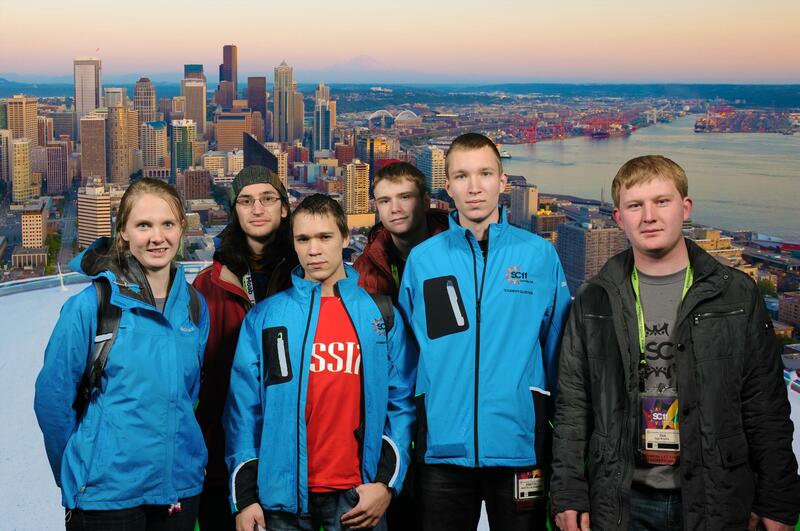 Team Members: Dinar Akhmatnurov, Sergey Belousov, Anatoly Vildemanov, Roman Kotelnikov, Ilya Krylov, Boris Rozenshtein. The UNN team presenting their ViVa project won the second prize in Imagine Cup 2009 hosted by Microsoft in Cairo on July 3 through 8, 2009. The annual Imagine Cup is dedicated to a certain theme that sets the pace for student research. In 2009, the theme was Imagine a World Where Information Technology Helps to Solve Global Problems. The event is held at the regional, national and, finally, international level. In total, more than 200,000 students from 70 countries took part in the contest in 2009. In the Russian finals, the UNN team was the best among the teams from Volgograd State Technical University, Far Eastern Federal University, Moscow Institute for Physics and Technology, Moscow Engineering Physics Institute, Immanuel Kant Russian State University and South Ural State University. The UNN programmers presented their ViVa project, an epidemic protection system including special sensors and data processing algorithms. In the authors’ opinion, it is time for a breakthrough approach to infectious diseases control. Team Leader: Sergey Sidorov, post-graduate student of Software Department, Faculty of Computational Mathematics and Cybernetics. In 2012, UNN teams achieved significant results in Computer Continuum: from Idea to Implementation, the annual contest of IT applied developments and research. 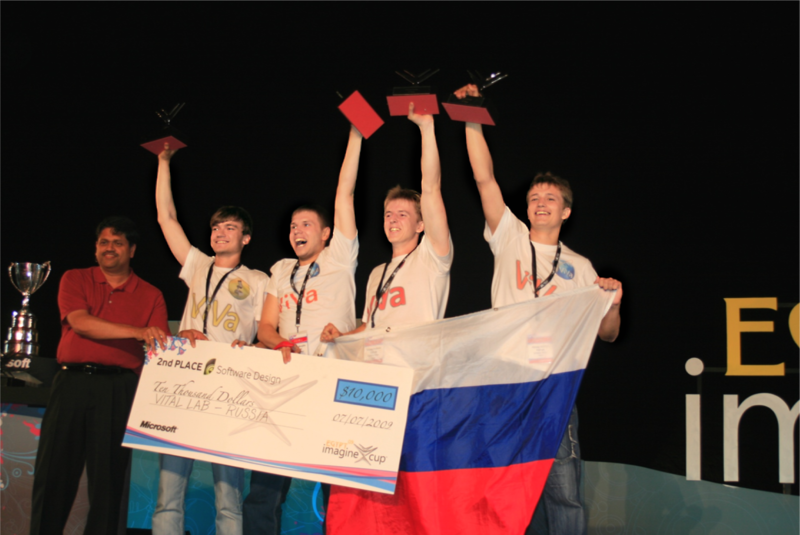 The contest is hosted by Intel Corporation and the Skolkovo Innovation Center Foundation with the assistance of RSC Group, ABBYY, Kaspersky Laboratory, Supercomputer Consortium of Russian Universities, M.V. Lomonosov Moscow State University. 151 applications from 31 Russian localities were submitted for the contest. Academic staff and students of UNN and the Institute of Applied Physics of the Russian Academy of Sciences (IAP RAS) showed significant results: one of their projects was among the three prizewinners, two projects won special awards of RSC Group and ABBYY, three projects were recognized as awardees of the contest. Authors: Nikolay Zolotykh, Yevgeny Kozinov, Valentina Kustikova, Iosif Meyerov, Tatyana Khanova (UNN CMC). Project: Methods and Algorithms of Image Analysis for Transport Video Detection. Authors: Arkady Gonoskov, Yevgeny Yefimenko (IAP RAS), Sergey Bastrakov, Aleksandr Malyshev, Iosif Meyerov, Igor Surmin (UNN CMC). Authors: Pavel Druzhkov, Nikolay Zolotykh (UNN CMC). In 2011, T-Platforms supported by M.V. Lomonosov Moscow State University announced a contest of projects Efficient Use of GPU Accelerators to Solve Large Problems. The purpose of this contest was to promote the use of graphics accelerators as an advanced tool to reduce time required to solve the most demanding tasks. The 30 winners of the first round included four UNN projects, and the 15 winners of the second one included only one of them. For the third round (finals), five research groups submitted a joint application entitled High-Performance Computing in Medicine (group leaders: V.P. Gergel, A.M. Sergeyev, G.V. Osipov, M.V. Ivanchenko, V.E. Turlapov, I.B. Meyerov, A.A. Gonoskov and others; the team consisted of about 20 members). This application was among the eight winning projects.